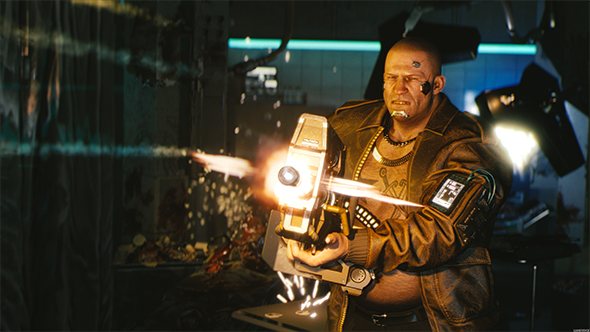 The release date for Cyberpunk 2077 is still a very closely-guarded secret, but developers CD Projekt Red have recently hit a significant milestone – the team says that the entire game can now be played, start to finish. Now, it’s worth remembering that that doesn’t mean the game is ready to play, or even to be shown off to the public – something CDPR have obviously steered clear of since the game was shown to press at E3 earlier this summer. Instead, however, it means that the entire story is in place, and, as long as you don’t mind missing assets (or plenty of bugs), you can play it end-to-end. In an interview at Gamescom, the game’s producer, Richard Borzymowski, told engadget that it might have taken six years, but “the entire game is playable from start to finish”. Sadly, as I mentioned, the current build “doesn’t have all of the proper assets, playtesting, or bug fixes in place,” but the story has now come together, more or less in its entirety. Sadly, that largely seems to put paid to the theories that the Cyberpunk 2077 release date could be any time soon. A full story is good, of course, but a huge open world still full of bugs and bereft of all of its assets isn’t something that’s going to be a quick fix. It also might explain why CDPR haven’t gone public with their demo of the game. So far, only press have been able to see a hands-off demo, and it’s been implied that that happens to be one extremely-polished vertical slice, rather than indicative of the quality of the game overall. My guess is that we’ll have to wait until next summer to get our first proper look, and that we’ll finally gets our hands on the game in 2020. Until then, your only Cyberpunk fix will be the game’s trailer, which you can watch above.